Students, Have You Considered These Alternative Education Pathways? Whether you have just left school or left your school days long ago, you may well be feeling that your education days are over but think again, education and on-going industry level training is not just for those who found exams and academic success easy. Statistics show that, in May 2017, two thirds of Australians aged 20 to 64 years had achieved at least one non-school qualification. At the same time, a huge percentage (84%) of Australians aged 15 to 19 were enrolled in formal study but we aren’t just talking about the younger generation here, the largest proportion of non-school qualifications were held by those aged between 30 and 39. However, there still remains the third of Australians who, for one reason or another, have not completed a post-school qualification and may be finding job seeking in our changing employment climate tricky. If this applies to you, don’t despair. There are alternative routes into education that have helped many people, however disadvantaged, to achieve the qualifications, and ultimately the career, they really want. These routes include online courses, short courses, distance courses and flexible learning and can seem confusing. We have taken the mystery out of alternative pathways to education below. Online courses do exactly what the name suggests. Instead of travelling to a place of education, you complete all of your work online with the support of a tutor and customised learning materials. An example of distance courses, online courses provide learning material and assessment via a computer interface. The best thing about online courses is that they are available to anyone and have the flexibility to suit individual needs. Whether you have limited mobility, live in a rural area or have a debilitating medical condition, there is an online course out there that will suit you and allow you to use your preferred study methods and work at your own pace. What are the disadvantages of online courses? One disadvantage of an online course is that, because they are distance courses, you generally don’t get to physically meet the other people on your course or your tutor. However, trainer support is available and some online courses offer opportunities for online collaboration with other students. Is an online course the right option for me? If you are one of the many Australians who have difficulty with a traditional classroom setting, then online learning is definitely for you. Online courses are also great for people with busy lives who need to fit their learning around other responsibilities. Online learning has come a long way in recent years and the number of online courses available may well surprise you. Short courses allow you to improve your skills in a shorter amount of time than is traditional, allowing you to focus on your current job whilst keeping an eye to the future. These courses can be as short as a day or as long as a year and can either be industry specific, for example, an Introduction to Human Resources, or self-developmental, for example, a short course in Effective Networking to improve your client relationships. What are the advantages of short courses? Short courses allow you to dip your toes into the world of further training without making a big time commitment. They also allow people with busy careers to top up their skills without too much impact on their day-to-day lives. What are the disadvantages of short courses? Short courses do not always lead directly on to a nationally recognised qualification (for example a Diploma) but they are a great way to gain study skills and whet your appetite for further training. Is a short course the right option for me? If you recognise the need to broaden your skills but are unsure about time commitment, a short course is an excellent option for you. When it comes to applying for jobs, you want your resume to be the one without knowledge gaps; a short course is a great way to achieve this. Workshops provide a way for groups of people to learn from each other. Instead of listening to one person teaching, in a workshop you will contribute your own knowledge and find out what other people think and do in different situations. Workshops often provide a more relaxed environment than formal classroom learning and can be tailored to suit individual needs. What are the advantages of workshops? Workshops are great because they allow for knowledge from a wider range of sources to be shared. By listening to other people and having the opportunity to ask them questions, you will learn new and often unexpected skills. The other real advantage to workshops is the opportunities they present to meet and communicate with other people. What are the disadvantages of workshops? When you attend a workshop, you can never be quite sure what you are going to get. The learning outcomes will depend on the group of people with whom you are working, so choose carefully, talk to the trainers, explain your requirements and don’t forget to give fair feedback at the end. Are workshops the right option for me? If the word ‘networking’ sends shivers down your spine then a workshop might well be just the thing you need to help you open up and work collaboratively with other people. If you want a learning experience that gives you a broad and up to the minute set of skills, a workshop will definitely suit you. Flexible learning combines a range of learning opportunities to suit individual qualifications. These might include, online learning materials, online library resources, discussion forums, online assessment, interactive workshops, classroom learning, problem solving exercises and workplace training. You might be surprised which skills you can learn through flexible learning; for example, did you know that Early Childhood Educators could train in this way? What are the advantages of flexible learning? Flexible learning allows you to study in ways that suit you whilst giving you access to a wide range of experiences. Different learning experiences are great because they broaden your horizons and help you to find out more about how you learn best. If you have problems motivating yourself then you might find that flexible learning is too easy to ignore. The best way to avoid this problem is to set yourself small, achievable goals. Is flexible learning the right option for me? If, for whatever reason, you require some flexibility in your timetable and the opportunity to work as and when you feel able, then flexible learning is a great option for you. From Information Technology to Community Services, there are online courses out there that will offer you all the flexible learning you need. 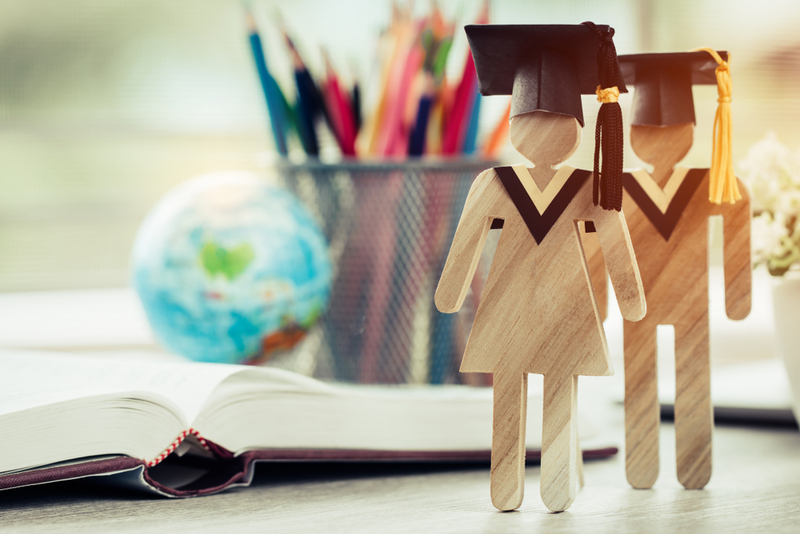 If you are still unsure that qualifications and training are the right thing for you, you might be interested to hear that there is a direct relationship between the number of non-school qualifications an Australian holds and their weekly income. In 2015, men with two or more non-school qualifications earned around $813 more than their unqualified, male colleagues and the difference was larger for women. Don’t let your circumstances or previous experiences put you off. Education is for everybody and there are learning opportunities out there for you. If you want to find out more about online learning, check out our SkillsTalk ‘Online Learning’series of blog posts; your questions answered and lots of useful information.